Weibo should grow significantly in the long term due to both macro and micro factors. Weibo has substantial competitive advantages that will prevent other companies from stealing market share. Weibo has strong financials and cash flow growth and is very profitable. Weibo is a long-term buy. Weibo (WB) is perfectly positioned to do well. It has solid long-term growth potential, great financials and liquidity, and near impenetrable barriers to entry. Weibo is the go-to social media platform for millions of Chinese citizens every day and will be for many years. According to its website: Weibo is a leading social media for people to create, share and discover content online. It combines the means of public self-expression in real time with a powerful platform for social interaction, content aggregation and content distribution. Any user can create and post a feed and attach multimedia and long-form content. User relationships on Weibo may be asymmetric; any user can follow any other user and add comments to a feed while reposting. This simple, asymmetric and distributed nature of Weibo allows an original feed to become a live viral conversation stream. The Chinese internet market is one of the fastest growing sectors of the Chinese economy. 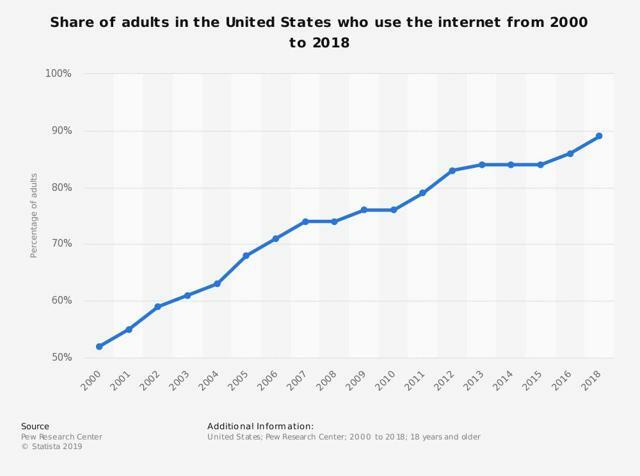 This is a massive opportunity for companies like Weibo, as more time spent on the internet means a much larger advertiser opportunity. In fact, digital advertising is the fastest growth areas in China's advertising industry, with a 17% CAGR from 2011-2017. 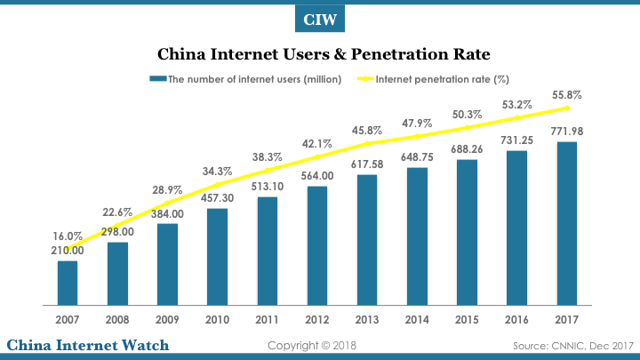 As China's internet penetration is still substantially below that of developed countries like the US or Canada, we believe there is still significant room for user growth. 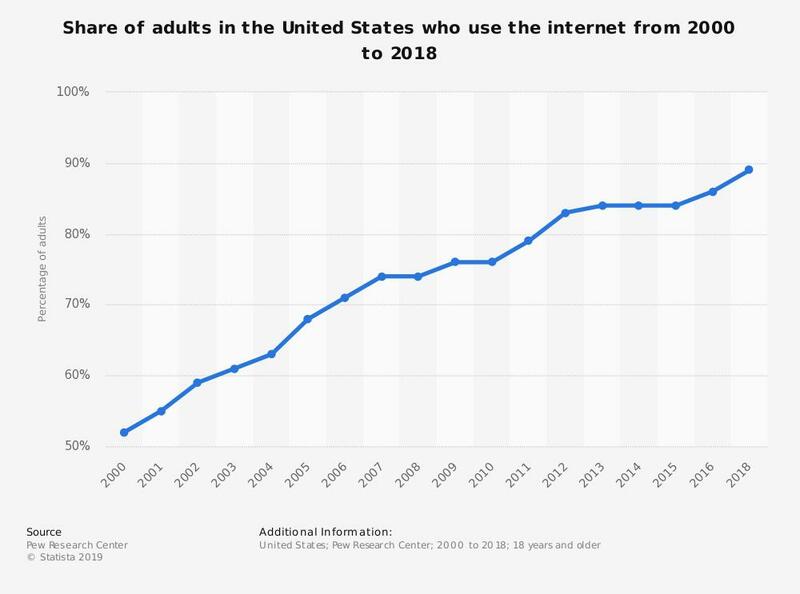 As the internet becomes a necessity instead of a luxury in China, more and more users will start using it, and Chinese internet penetration will slowly trend towards that of the US. User spend is expected to rise as well, as users will spend more as an economy continues to grow and develop. This increased user spending will cause advertisers to spend more, eventually allowing companies like Weibo to reap a much higher ARPU. 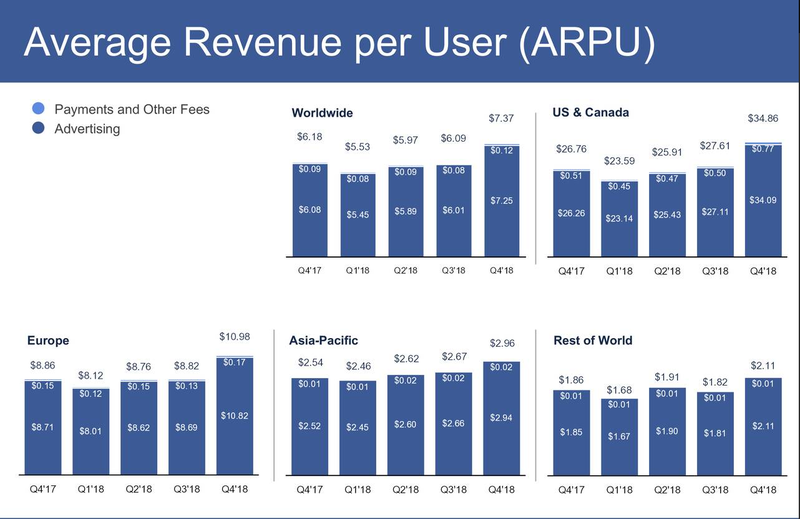 As shown in the chart below, ARPU for US and Canadian Facebook (NASDAQ:FB) consumers is over 10x that of APAC consumers. These are the main macro growth drivers for Weibo in the next few years. 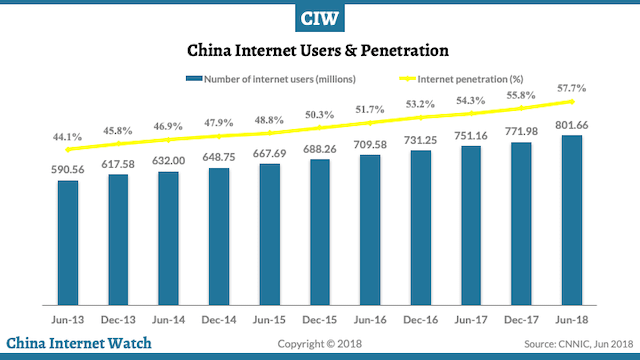 If Weibo just maintains its share of the Chinese advertising market, revenues could increase by as much as 15x in the long term as China becomes a developed country. The market may be growing quickly, but Weibo is not relaxing. Weibo is testing a whole host of initiatives to increase user retention and engagement. It has recently tried to increase traffic by directing its users towards popular topics. Weibo has also tried to increase engagement in other areas by creating a community for video viewers and enhancing video offerings. These engagement initiatives should help to grow user engagement in the long run and grow revenues along with it. Weibo isn't neglecting advertisers as well, investing heavily into data analytics, machine learning, and other areas that improve ROI for advertisers. The combination of all these factors should allow Weibo to grow revenues in the next decade and beyond as Weibo continues to innovate and invest in R&D and as China's economy continues to grow. Weibo's ecosystem has been viewed upon itself reinforcing cycles of users, content creators and customers. To elaborate, Weibo's massive user base empowers content creators to accumulate social assets based on which content creator enhance their influence and monetize eventually. So - accumulate such social assets, content creators have to generate premium content for user to consume, discuss and share, which drives user engagement growth income. Weibo also has very strong alliances, especially with Alibaba (NYSE:BABA), the second largest e-commerce company in the world. Alibaba owns over 30% of Weibo and in 2018 was responsible for ~7% of Weibo's revenues. This is a powerful alliance - it takes away substantial ad revenues from competitors' platforms and solidifies Weibo's position as one of the leading social media platforms in China. Alibaba also helps to bring credibility and encourages other large companies to spend more on Weibo advertising, which results in a virtuous cycle of higher ad spend and higher revenues for Weibo. This is a huge barrier to entry for competitors, as large advertisers are more likely to choose the incumbent over a challenger. Specifically, in 2018, the total ad budget Weibo acquired from the top-100 A customers grew double digit year-over-year, particularly Estee Lauder, the global renowned - globally renowned beauty and skin care brand, more than doubled their ad budget on Weibo and the number of marketing campaigns conducted on Weibo surpassed 100. There are also very strong switching costs associated with leaving Weibo. Since Weibo is the go-to place to receive news updates or follow celebrities, if a user leaves, they will most likely not be able to receive timely news or look at the posts of their favorite celebrities. 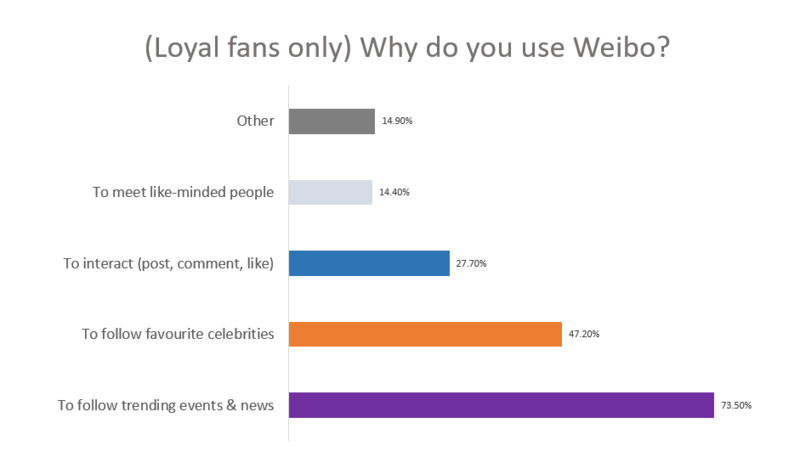 There is a strong social incentive for people to stay on and continue to use Weibo. As one survey discovered, users are very loyal to Weibo because it is the best place to hear about news or to follow celebrities. These competitive advantages have allowed Weibo to survive and thrive in the face of massive competition from other apps. Weibo continues to draw advertisers and users by providing a valuable service - the ability to get news and follow people that matter. Our goal is to provide Weibo's users with the improved live broadcasting experience by enabling better product integration between Weibo that focus in media, celebrity and showcase vertical. Ultimately this acquisition is intended to increase traffic and revenues to Weibo’s platform. Once the acquisition process is completed, it will take us a two quarters to fully integrate and optimize product. We believe the combination of its live broadcasting business with Weibo will further increase our content ecosystem offer better support to top content creators and improve our monetization capability and efficiencies. Weibo has strong profitability and net margins, with gross margins in 2018 reaching 83.8% and net margins hitting 35.4%. Do note that Weibo is currently investing large sums in R&D, however, and real profitability is probably much higher. Weibo also has strong cash flow and cash flow growth. As shown in its 20F, cash flow has been growing consistently for several years now, mainly due to increasing profitability. Despite having significantly more growth than Twitter (NYSE:TWTR) or Facebook, Weibo only trades at a slight premium to these companies. Since Twitter only recently made a profit, we'll use Facebook as a comparable. Using PEG, we can determine that Weibo should trade at a P/E of 46 to be fairly valued. Even if you reduce a Chinese discount of 10%, Weibo should still be trading at 41x earnings, or 50% higher than the current price. Therefore, our price target on Weibo is $100. Weibo, like most other Chinese companies, has complicated VIE structures, which could deter potential investors and increase risk of fraud. Weibo is also controlled by another company called Sina (NASDAQ:SINA), so it may not listen to minority shareholders. Weibo has strong competitive advantages and a long growth pathway that would make any growth investor salivate. In the long run, Weibo has the potential to create massive shareholder value, growing into a major social media company in the process.